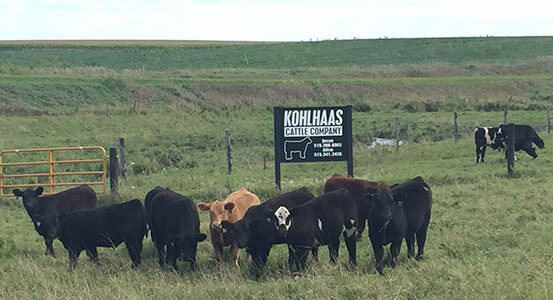 Kohlhaas Cattle Company is a three generation family grain and cattle farm located in Lu Verne, Iowa. 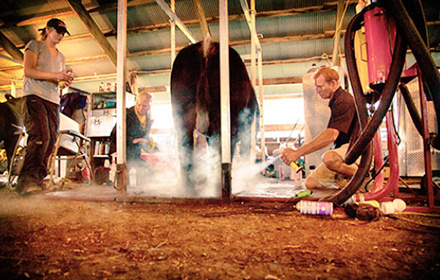 Over the past 20 years, we have developed a respected program with proven consistency in the show ring. Throughout this time, we have remained committed to purchasing and exhibiting market heifers that also make suitable Club Calf Cows, which has built upon and contributed toward the growth of our high quality herd today. Our Herd Sires represent the top genetics in the industry, helping us to offer outstanding Sale Cattle. KOHLHAAS CATTLE COMPANY is honored to be a part of the Pro Tour Cattle Sale, which is a group of 15 reputable breeders whom annually offer 500 head of top quality calves selected from over 1,200 cows located in North Central/North West Iowa region. 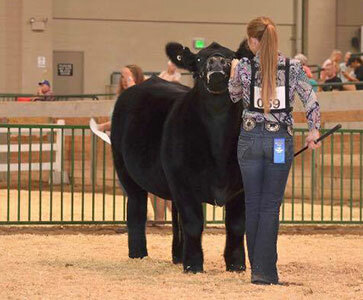 Whether you are looking for a calf for the county fair to the state fair, we are committed to understanding your goals and being your partner for success. We welcome you to visit the farm to see the calves in person or contact us anytime. Follow us on social media for the latest photos and updates about our calves! Latest news from Kohlhaas Cattle Company! Exhibiting Tag 1 from our 2016 Pasture Sale at the 2017 Michigan Livestock Expo! RCC / Wade Rodgers Cattle Co. Her smile couldn’t be more genuine. Her eyes truly light up when she’s talking about Violet, or Squeak, or Idgie. She’s doing what she loves and loving what she does. 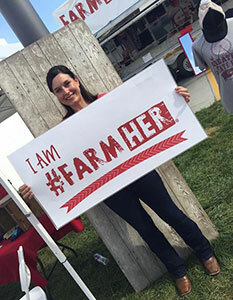 Meet FarmHer Amber Kohlhaas, who spends her 40-hour (or more) work week as Communications manager for Hagie Manufacturing and her “time off” with the animals she loves. She and her husband, Jason, live on his family’s Century Farm near Lu Verne, Iowa, where they raise a variety of cattle, as well as other furry and feathered creatures. Last Friday on The Field Position, we introduced you to beef producer Amber Kohlhaas and her husband, Jason, of Lu Verne, Iowa. 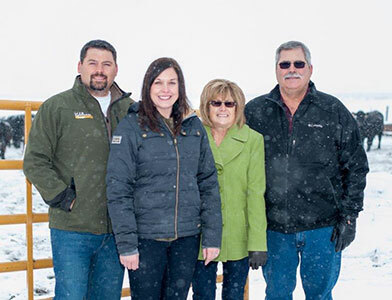 Amber is a kindred spirit to those of us, who are passionate about the quality of crops and livestock we produce. Keep reading to learn why she believes it’s so important for all of us to share our stories with our urban friends. For more pictures and information, please view our Sale page. Follow Grace Tusha and her family’s journey exhibiting in their final year of showing club calves. 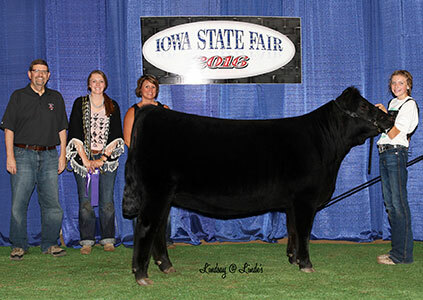 A long-time partner with Kohlhaas Cattle Company, we could not be more proud of the Tusha family for their hard work, dedication and commitment to achieving success in the show ring. Thank you for your partnership and friendship! Follow more from the Show Bound series. 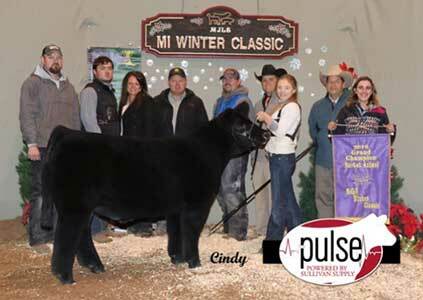 View the Tusha family journey to the show ring.